Here, the client was looking for an elegant solution for their front living room. 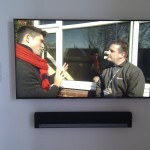 The brief was to have all cables hidden and to install a soundbar which handles both music and TV audio. 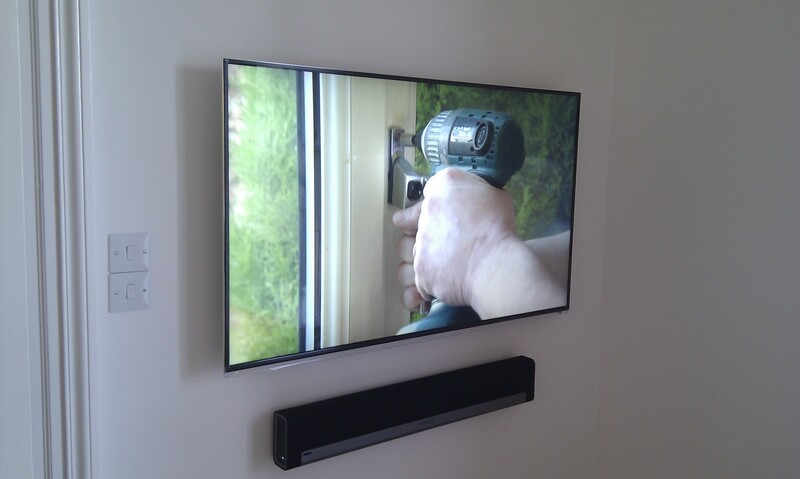 The first visit required us to channel and plaster in all the necessary audio, video, data and aerial cables to the solid wall. 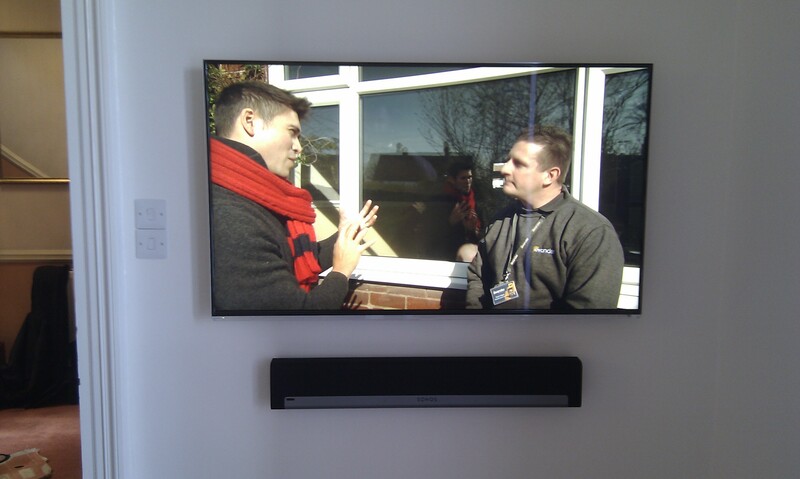 A new satellite feed from the dish was also run to the TV location on the wall in order to make use of the Panasonic TV’s Freesat tuner. 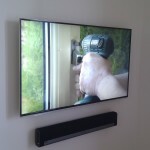 Once the decoration and finishing work had been completed and the room was free of dust, a second visit was required to install the TV and Sonos Soundbar.